Ever watchful of the stock market, research firm Nanex noticed some weird, early trading on the weekly Energy Information Administration (EIA) Natural Gas. The report comes out at 10:30 a.m. on Thursdays. Last month, Nanex noticed that someone had started trading on the report 400 milliseconds early. This, after the SEC announced that it would not investigate trades on information that are early by such small fractions of a second. Basically, Nanex CEO Eric Hunsader is saying that this strange activity happened again last week, but this time the milliseconds are even shorter. 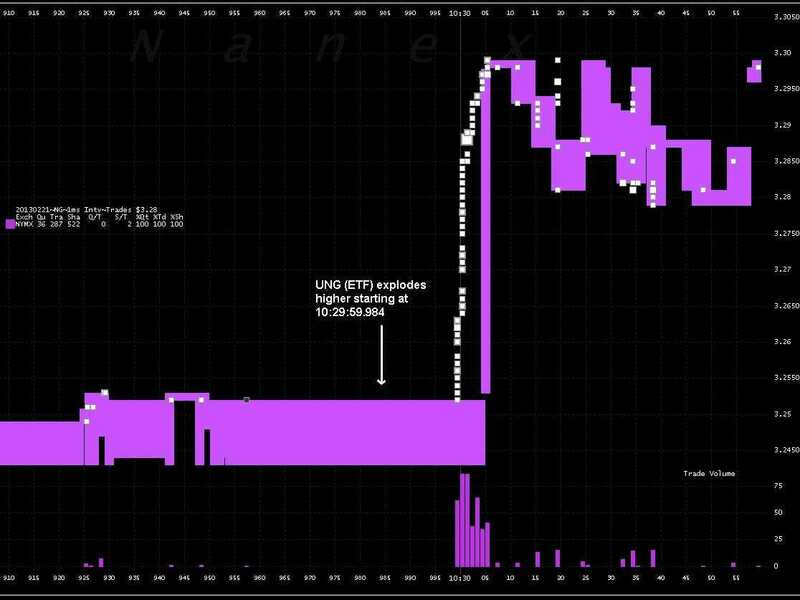 Here’s how he can tell: In the chart below, you see trading fire off in the Natural Gas ETF (UNG) 10:29:59.984. That’s 16 milliseconds before the report is supposed to come out. 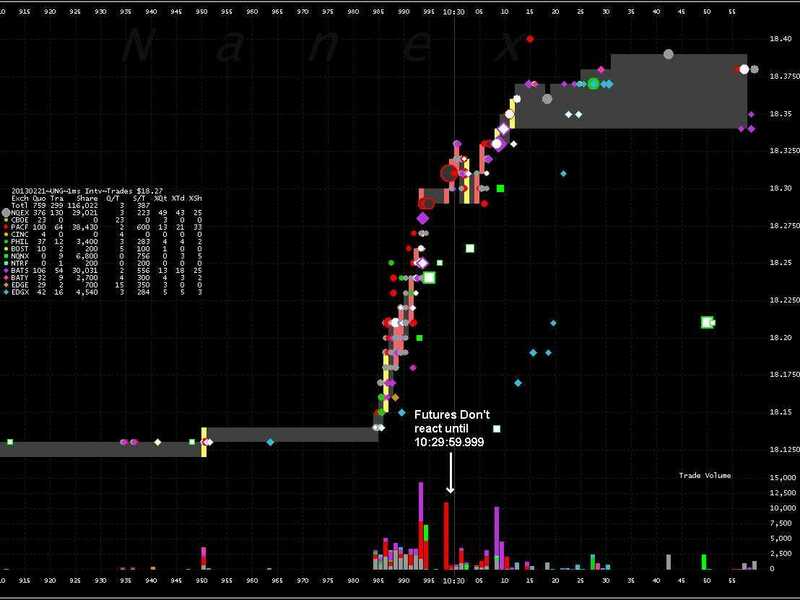 What you’ll also notice, is that futures trading (for the March 2013 Natural Gas Futures contract) starts exploding at the right time, 10:29:59.999. One explanation for this disconnect is that the clocks at all the exchanges were not properly synchronised. However, because trading in the futures contracts doesn’t start until the right time, it doesn’t look like that was the case. In the chart below you can see when the trading in the nat gas futures starts up.